This is the officially licensed version of the Rambo knife used in the second movie. • Sheath: Top Grain, Leather Belt Sheath with Leg Tie. 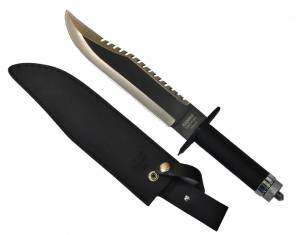 15.2" Overall with a 10" sharpened, stainless blade. Hollow aluminum cord gripped handle that contains an emergency survival kit and a precision compass that is mounted in the pommel. Imitaton leather sheath. "The Expendables" is a 2010 hard-hitting action/thriller movie about a group of mercenaries hired to infiltrate a South American country and overthrow its ruthless dictator. Once the mission begins, the men realize things aren’t quite as they appear, finding themselves caught in a dangerous web of deceit and betrayal. With their mission thwarted and an innocent life in danger, the men struggle with an even tougher challenge one that threatens to destroy this band of brothers. 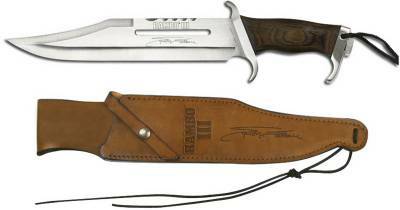 Master knife maker Gil Hibben designed this bowie for 2010 Expendables movie. 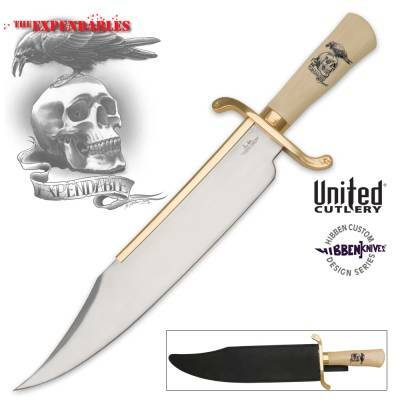 This OFFICIAL cutlery masterpiece offers a stabilized synthetic ivory handle accented by the gold-plated blade catcher and guard which are reminiscent of the styling of original bowies. 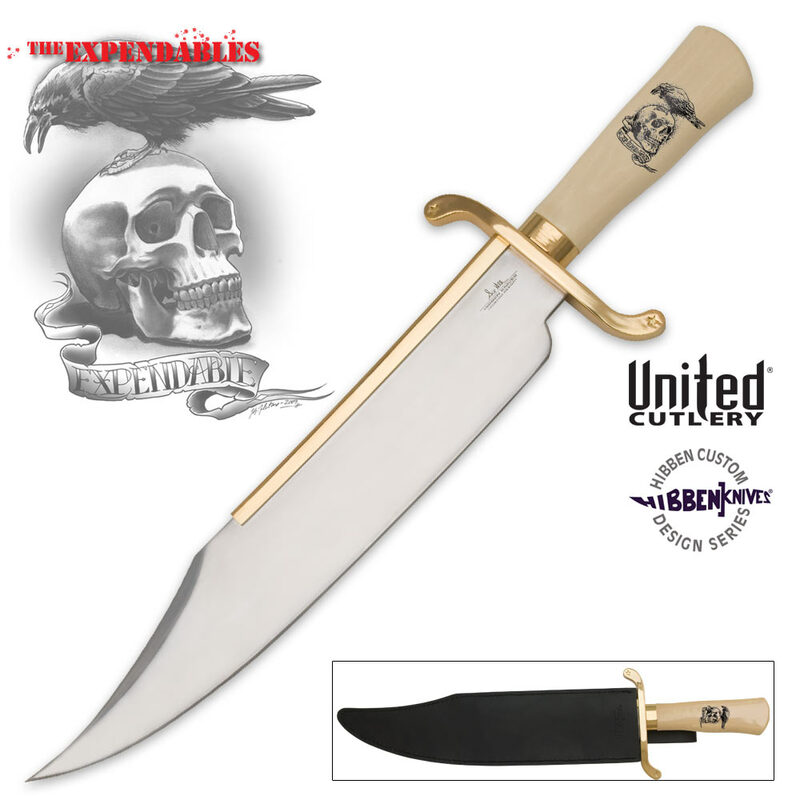 Expendables artwork is featured on the handle and the gold-plated guard offers cast star designs on both ends. 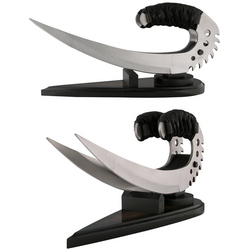 The classic 14" blade is constructed from polished stainless steel. 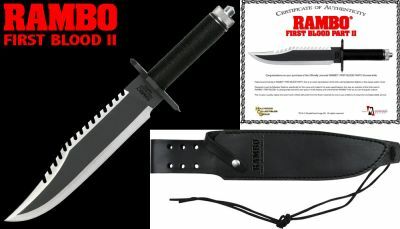 Included is a custom leather sheath with Hibben Knives logo. Solid metal collar and tip, antiqued metal finish, Elven vine design, genuine leather wrap. 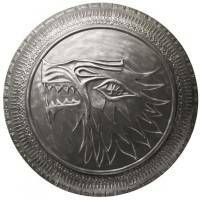 This museum quality replica has been crafted with pride from the finest materials available and comes complete with a matching top grain leather sheath. Each Sylvester Stallone Signature edition knife measures 18" in overall length and comes with an individually serial numbered, sharpened blade. 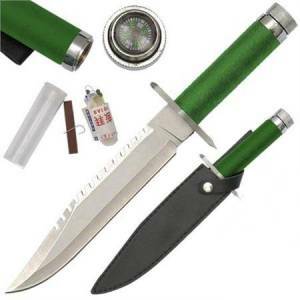 Features a top quality 420 stainless steel blade and laminated hardwood handle. King to all men of middle earth during the second age, Elendil stood alongside his son, Elrond and Gil-Galad during the final battle with Sauron and his hordes, who he was later slain by. 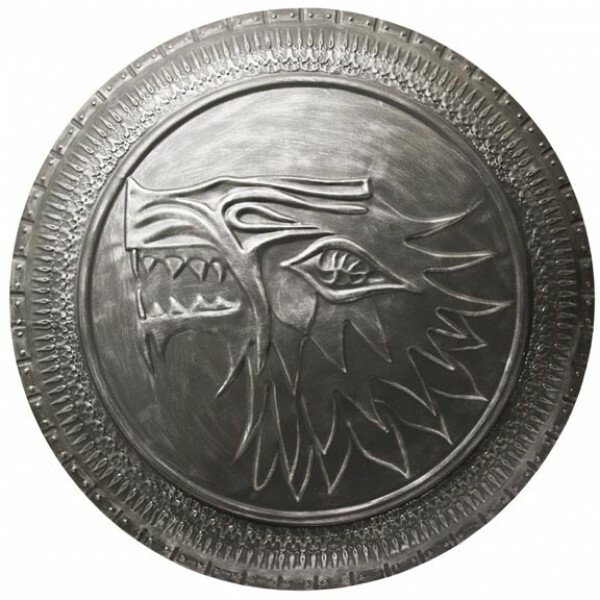 The helm is beautifully adorned with feathered wings and crests of seabirds of solid iron, which symbolize Elendil's arrival "from over the sea in ships that sailed on the wings of the wind." 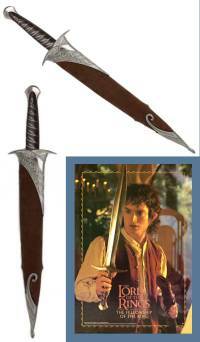 A great companion display piece for any Narsil owner.